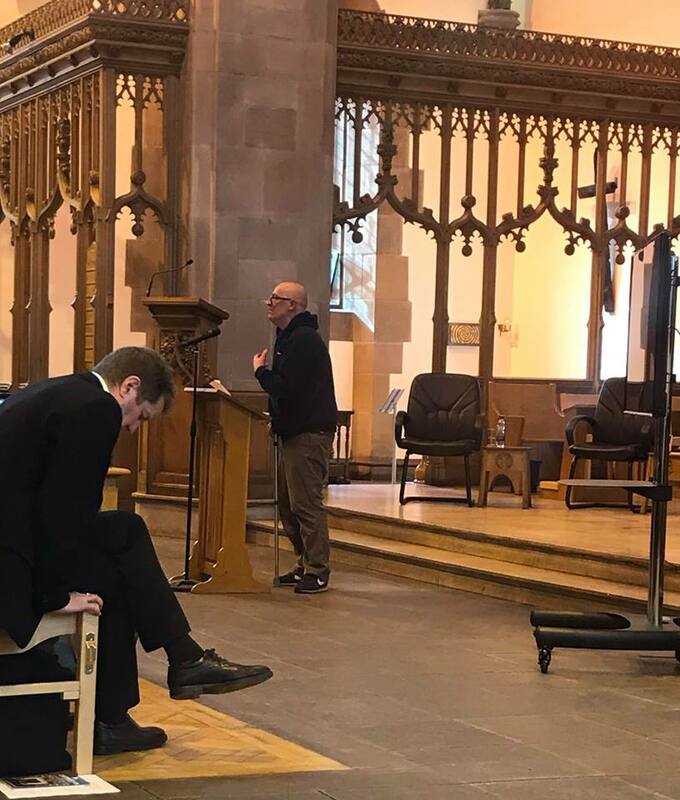 Gaskells Waste are proud to have taken part in a major conference in Liverpool today on the issue of homelessness and rough sleeping, and what the private sector can do to help. 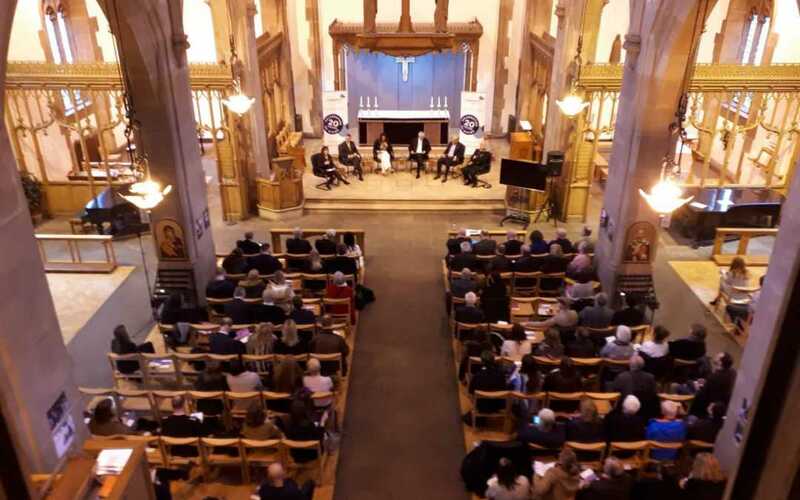 More than 200 people from businesses and organisations from across the Liverpool City Region packed into Liverpool Parish Church, to hear from a number of speakers, including Denise, our Commercial Director. 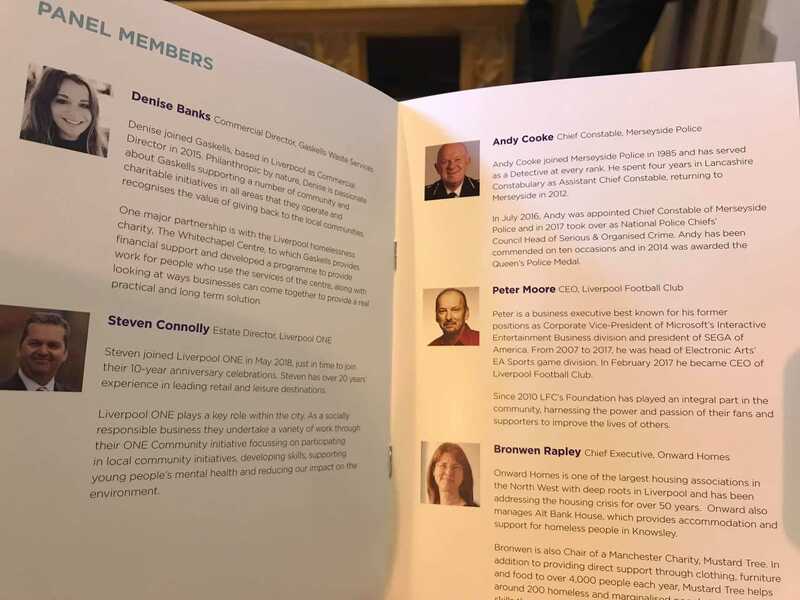 Other speakers included leading figures from Liverpool Football Club, Merseyside Police, Liverpool One, The Liverpool BID company, and Liverpool City Council. One of the standout speeches of the day came from Karl, who’s a homelessness survivor. Karl spent 30 years on and off the streets, and his words really brought home the reality of what homeless people go through. Members of the panel shared their views on what the private sector can do, in a very interesting debate. Liverpool FC Chief Exec Peter Moore spoke about his experience living in San Francisco, which is one of the world cities most affected by homelessness, saying Liverpool must rise to the challenge to avoid going the same way. He also revealed why Anfield wouldn’t be opened up to the homeless, in a similar way to Crystal Palace did, saying some initiatives like this run the risk of looking like a PR stunt “opening a room with some beds in it and posting it on social media isn’t a long term solution.” He also spoke about the work the LFC Foundation does to engage with all members of society. Merseyside Police Chief Constable Andy Cooke called for a non political regional lead on homelessness, and also for a specific agency for donations to be directed to. Denise spoke about preventative measures businesses can take to avoid people falling into financial difficulties. These include having an open door policy and paying a real living wage, both of which are in place at Gaskells Waste. 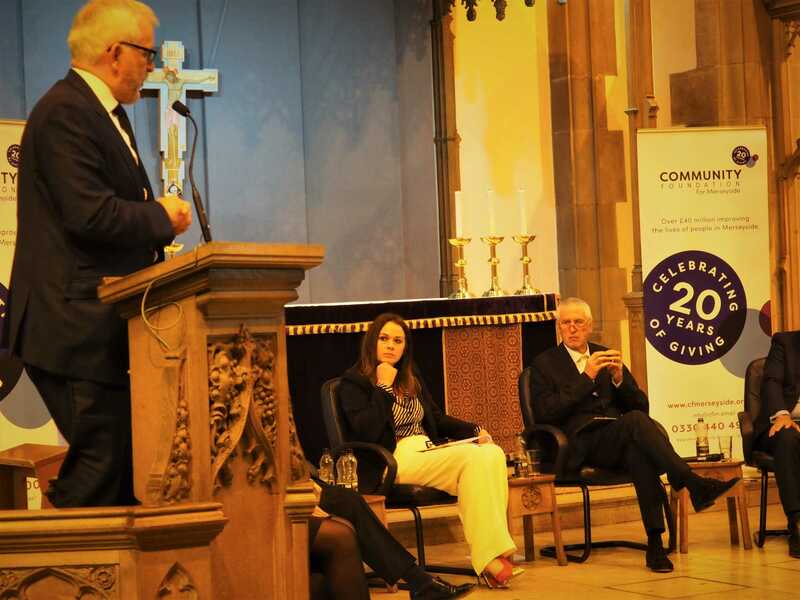 She also spoke about the importance of changing people’s perceptions and having a bit of compassion, and it’s also safe to say there were a few gasps around the room too as Denise told the panel about homeless people sleeping in commercial bins, which in the past has led to a number of deaths. We’re also looking forward to the launch of the Housing First Pilot, which Liverpool City Region Mayor Steve Rotheram spoke about today and which will be launched here soon thanks to £7 million of funding from the Government. 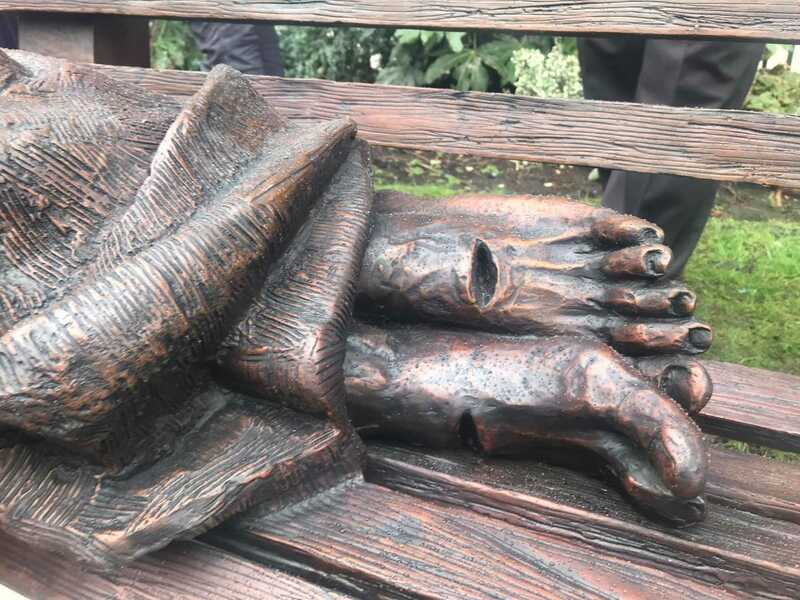 Another big part of today was the unveiling of a new statue in the gardens of Liverpool Parish Church, the ‘Homeless Jesus’. It’s a fantastic sculpture, versions of which are already in place in a number of world cities including Manchester, Rome, Toronto, Chicago, and Dublin. 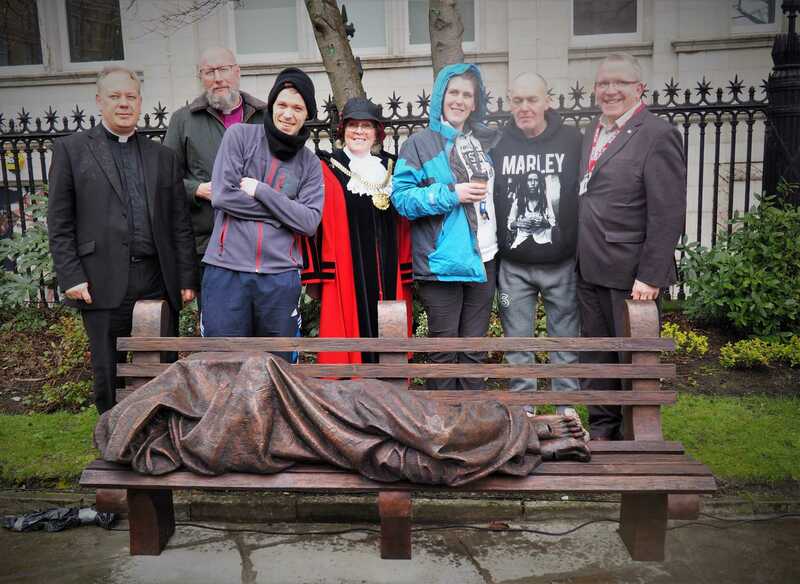 We’re proud to have seen it being unveiled by members of the homeless community.